The big roller coaster is large in size, it is one of the most thrill amusement ride which is designed by amusement ride manufacturers. These giant roller coaster usually used for large-scale amusement parks. We can see two kind of roller coasters according to its materials, one is the wooden roller coaster and the other one is the steel roller coaster. Most of the roller coaster manufacturers will only made the big steel roller coaster. Modern amusement ride is one of this. 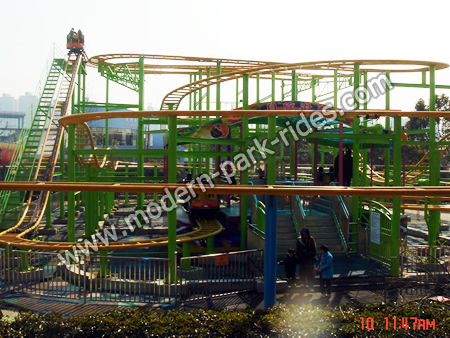 Big theme park roller coaster is the most attractive thrill ride for brave people.